Twisted stomach, also known as bloat, torsion, or gastric dilatation & volvulus is a terrible condition that threatens the lives of many dogs. It can happen without notice, and can be fatal. Essentially, the canine stomach becomes distended and then rotates into a dangerous position. 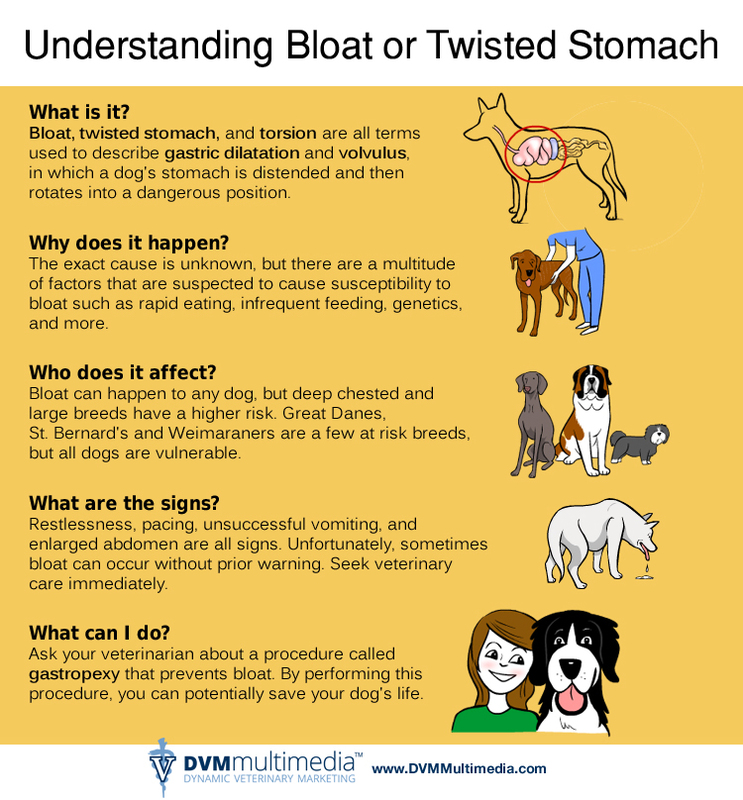 Please read below to view more information on bloat and the things dog owners should be aware of.